This webinar provides insight from Dr. Hitoshi Matsuo on the Opsens physiology system and its advantages in routine use to diagnose coronary artery disease. Dr. Matsuo will share interesting cases he performed in complex PCI performed at the Gifu Heart Center, in Japan. The presentation will examine the Opsens dPR novel resting index and the Optowire technology based on the 2nd Generation Fiber Optic sensor. Dr Hitoshi Matsuo is currently President of Gifu Heart Center, and Clinical Visiting Professor of Medicine in Gifu University School of Medicine. He graduated from Jichi Medical School in 1986. He spent one year at Johns Hopkins Medical Institutions in Baltimore as a research fellow of Nuclear Medicine from 1987. 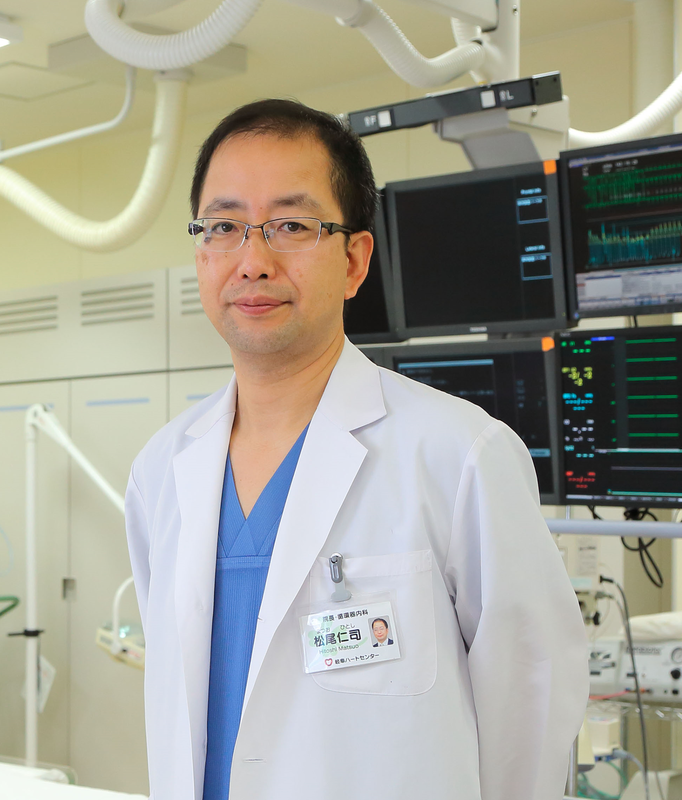 He dedicated his clinical research work on physiology and interventional cardiology using pressure guide wires at Gifu Prefectural General Medical Center, Toyohashi Heart Center and Gifu Heart Center. Dr Matsuo is now participating in and contributing to many international multi-center trials including DEFINE-FLAIR, international multicenter FFRCT registry (ADVANCE registry), 3V-FFR FRIENDS study, DEFINE FLOW study and FAVOR2 Europe and Japan. Dr Allen Jeremias, MD is currently Director of Interventional Research and Associate Director of the Catheterization Laboratory at St Francis' Hospital, New York. Having been practising for over 20 years', Dr Jeremias graduated from the Heinrich-Heine-University School of Medicine in Germany and holds a Master of Science from Harvard Medical School. He is a fellow of the American College of Cardiology and the Society for Cardiovascular Angiography and Interventions. He is widely published in interventional cardiology and is also a medical book author. He has received numerous awards, including Castle Connolly's Top Doctor Award: New York Metro Area, 2009-2016. Introduce the Opsens physiology system, its benefits in daily practice and its performance in complex PCI. Present the advantages of the Opsens 2nd generation fiber optic sensor and its accuracy. Demonstrate the feasibility of the new Opsens dPR resting index in clinical practice through patient cases. Ciccarelli G. et al, Angiography Versus Hemodynamics to Predict the Natural History of Coronary Stenoses: a FAME 2 Substudy, Circulation, 2018. Davies JE et al, Use of the Instantaneous Wave-free Ratio or Fractional Flow Reserve in PCI, New England Journal of Medicine, 2017. De Bruyne B, et al, Fractional flow reserve-guided PCI versus medical therapy in stable coronary disease, New England Journal of Medicine, 2012. Götberg M et al, Instantaneous Wave-free Ratio versus Fractional Flow Reserve to Guide PCI, New England Journal of Medicine, 2017. Kawase Y et al. Frequency of a large drift caused by pressure wire using optical fibers, Cardiovasc Interv and Ther DOI 10.1007/s12928-017-0481-x. Marcel van’t Veer et al, Comparison of Different Diastolic Resting Indexes to iFR: Are They All Equal?, Journal of American College of Cardiology. 2017. H. Omori et al. 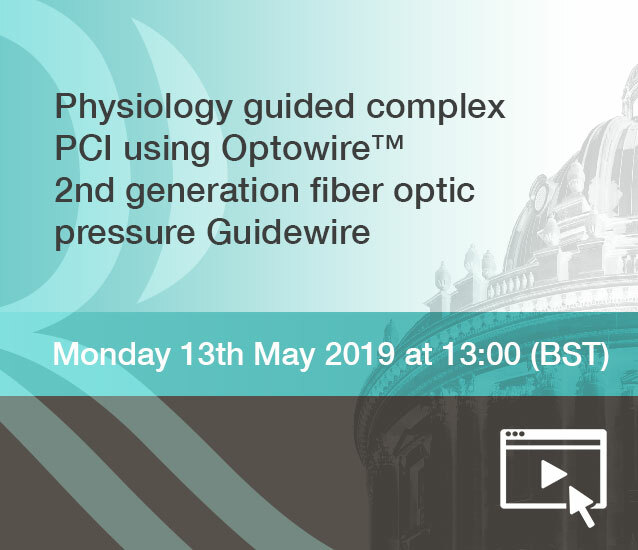 Feasibility and Safety of Jailed-PressureWire Technique Using Durable Optical Fiber Pressure Wire for Intervention of Coronary Bifurcation Lesions, Catheter and Cardiovascular intervention, 2019 - in press. Tonino PA. et al, Fractional flow reserve versus angiography for guiding percutaneous coronary intervention, New England Journal of Medicine, 2009.